The realization of Dzogchen is not achieved through studying, analysis, and intellectual understanding only. 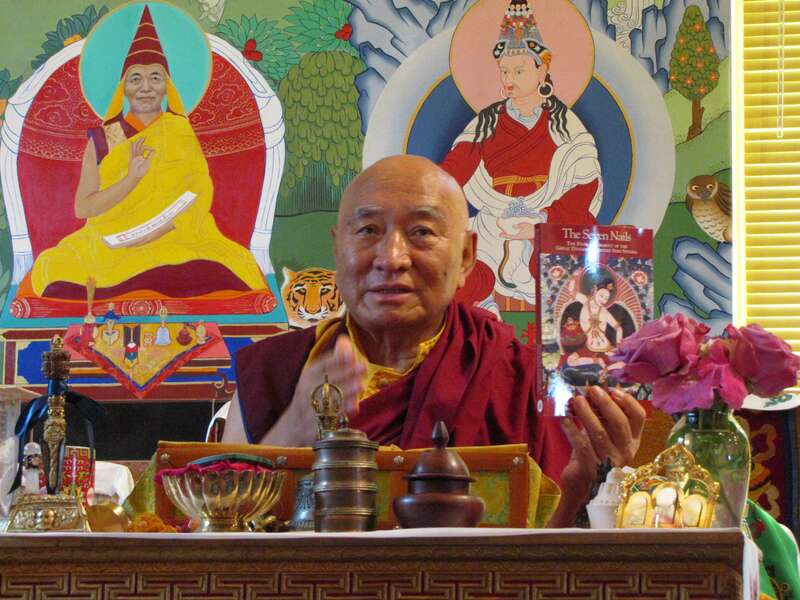 According to the teaching, the perfect meaning of Dzogchen comes from introduction, meditation, devotion, and receiving the lineage blessings. With these methods, we can discover the Great Perfection within ourselves because self-discovery is the Dzogchen way. If you follow any methods other than those, you are looking in the wrong direction. At the same time, we should also engage in good activities that will benefit others, as well as ourselves. In the Buddha’s teaching, the two aspects of the path are known as “accumulating the two merits:” (1) the accumulation merit of compassionate activities, and (2) the wisdom merit achieved through skillful meditation. Throughout the Mahayana and Vajrayana teachings, the Buddha mentioned that these two accumulations are necessary. And it’s not that the Buddha is just creating some program or rules that we have to follow, but this is the nature. If we would like to discover the nature‘s beauty, we have to follow a natural path. In general, “practicing the Dharma” means absorbing the Dharma into our hearts and minds. This also means that Dharma is not outside ourselves, or something we look at just once in a while. The Dharma must be constantly activated in our hearts and minds. Similarly, Dzogchen must be maintained in our hearts and minds with devotion and confidence. This is how we practice the Dharma.